The Campbell tuner has a movable reed seat and can be flattened or sharpened without removing the chanter from the stock. Made with the McCallum Mark 3 pipe chanter. 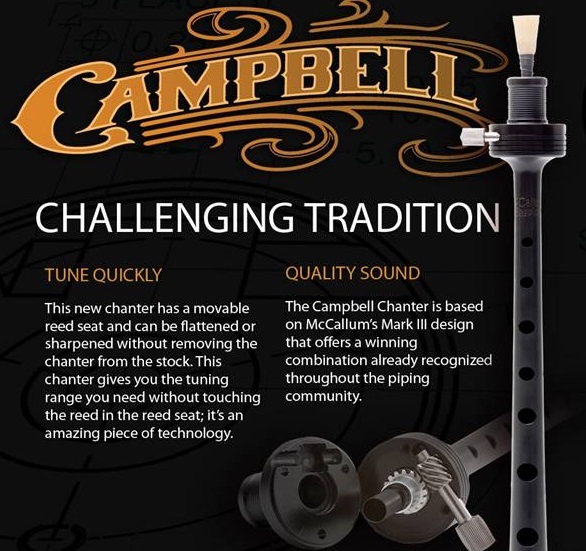 The tuning dial on the Campbell Tunable Chanter allows for quick tuning while you play your pipes. You will not even need to deflate your bag! The perfect solution to tuning a bagpipe chanter quickly has arrived. Now you can tune your chanter very quickly by simply turning the tuning dial to raise or lower your reed - while you continue to blow your pipes!